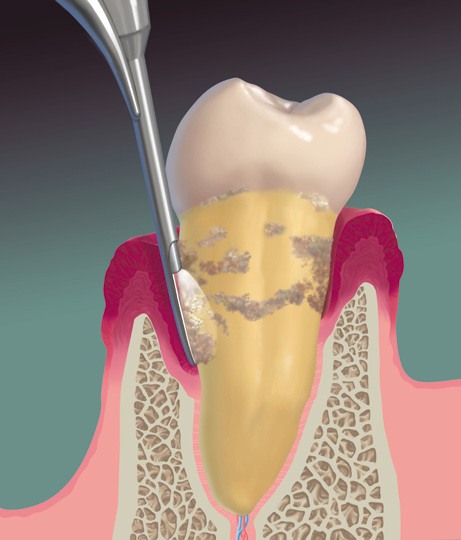 To treat periodontal disease, we suggest getting a deep cleaning. Our dentist will help remove the plaque and calculus that have built up since your last visit. Because these cleanings are extensive, it may be necessary to numb the area before starting on the treatment. There are four quadrants in the mouth, and it is usually recommended to do the deep cleanings two quadrants at a time, so that only one side of your mouth is numb. A second appointment would then be scheduled to do the upper and lower quadrants on the other side. How does the deep cleaning process work? Using special instruments, they will do scaling and root planning’s (also known as deep cleanings) where they remove plaque and calculus from below and above the gum line. Sometimes, they may even use laser therapy to remove diseased gum tissue. How often do I have to get deep cleanings? Afterwards, your gum health will be monitored, and more frequent periodontal maintenance visits would be recommended. These cleanings are usually scheduled every 3-4 months, depending on the severity of your gum disease. Over time, after the area has been cleaned thoroughly, the gums should heal and the pockets should shrink. 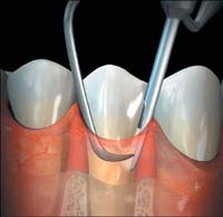 At every periodontal maintenance, the pockets will be recorded to observe improvement. In addition, medicated rinses may be recommended to help keep your gums healthy. Lastly, it is important to pick up and continue good dental habits from now on. Though it may be hard to do, losing teeth would be much harder to deal with! We want you to have a healthy smile!